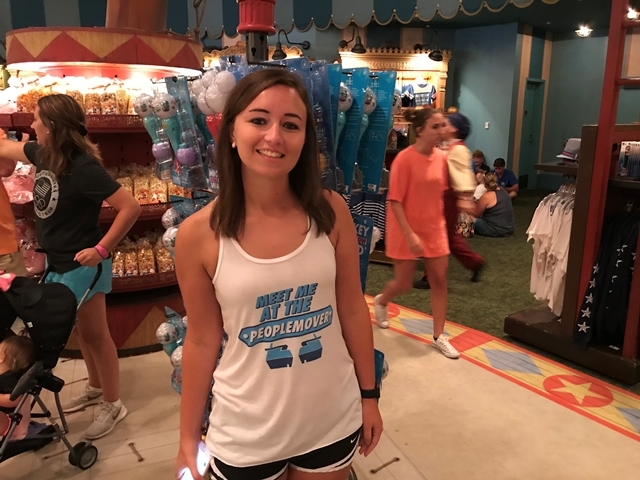 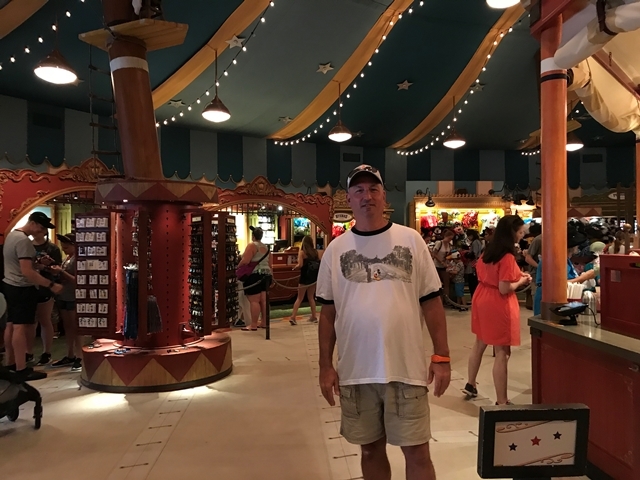 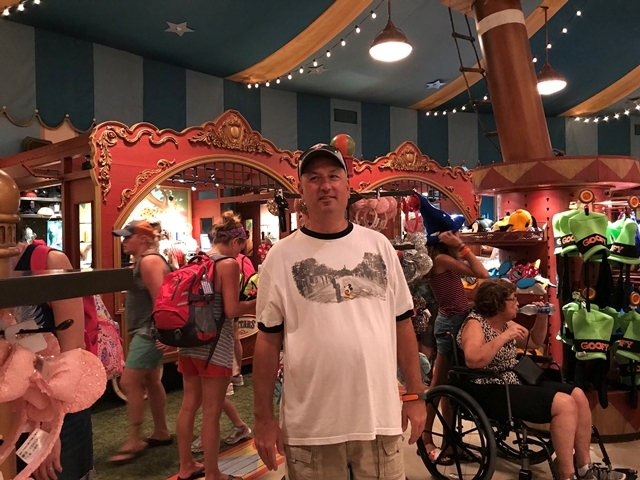 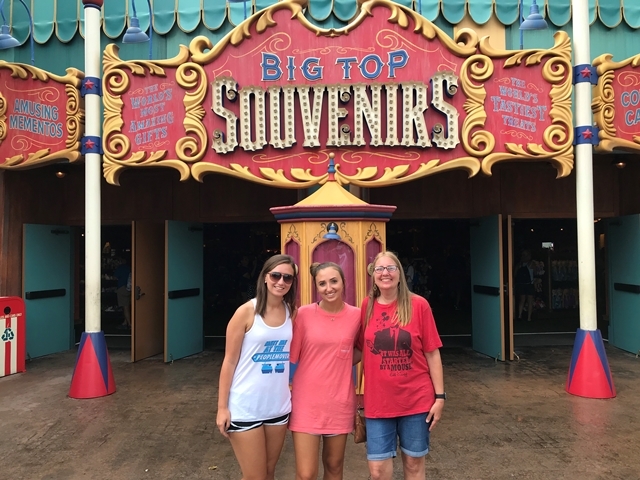 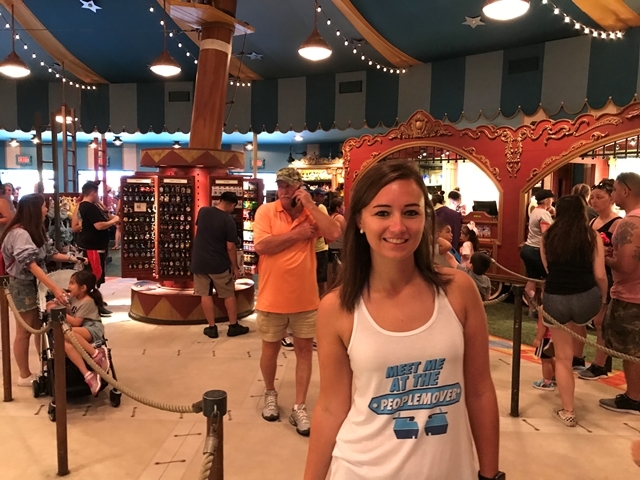 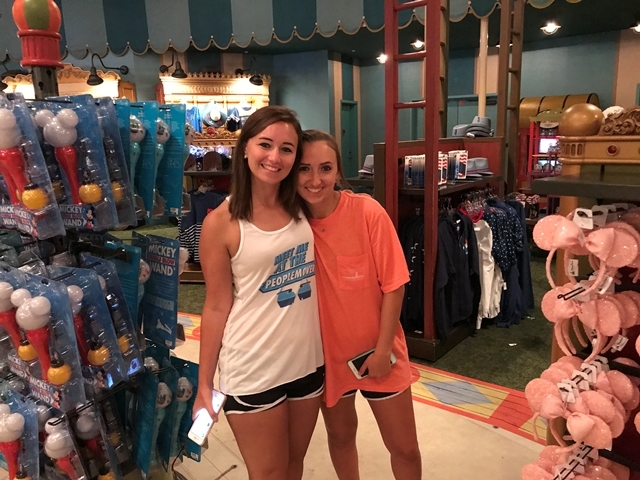 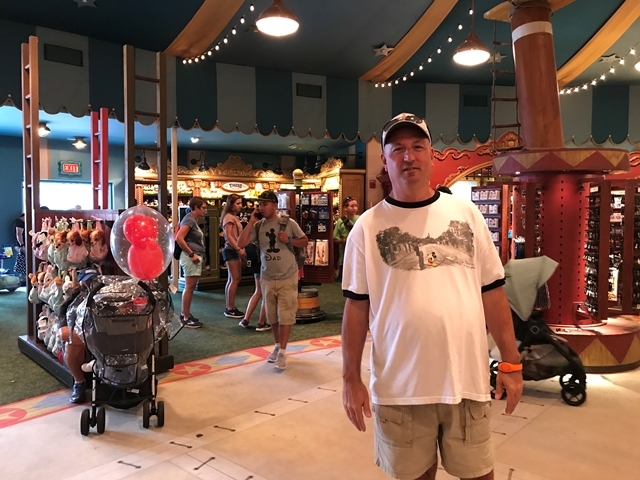 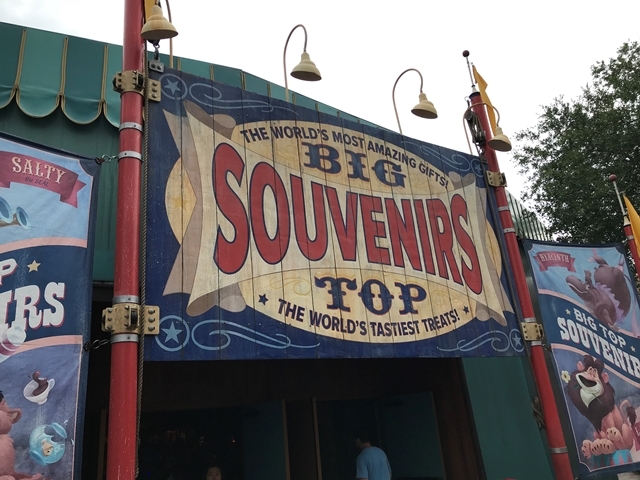 Big Top Souvenirs is the place to get your Storybook Circus merchandise. 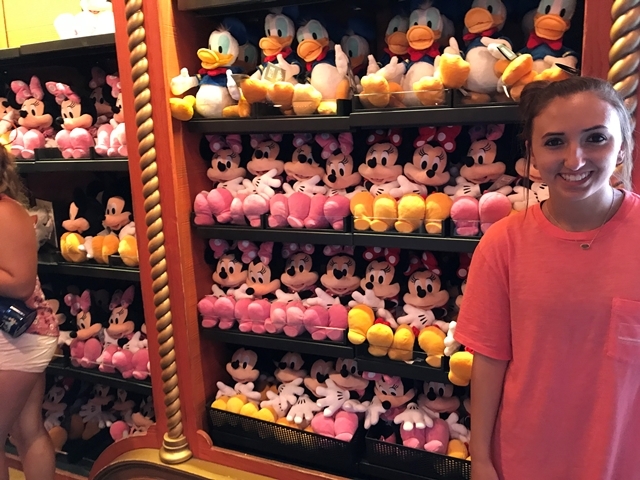 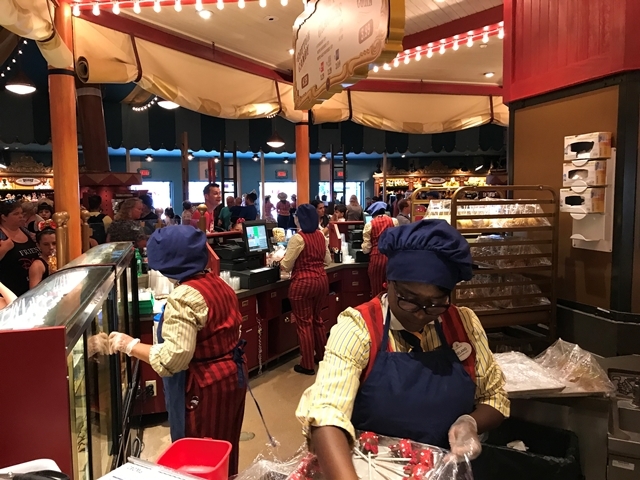 There are two embroidery stations where you can personalize your ear hats. 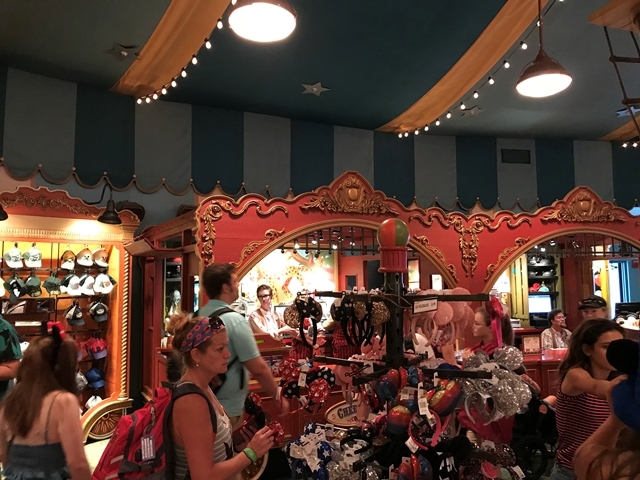 Designed to look like a Big Top circus tent, this location is full of details. 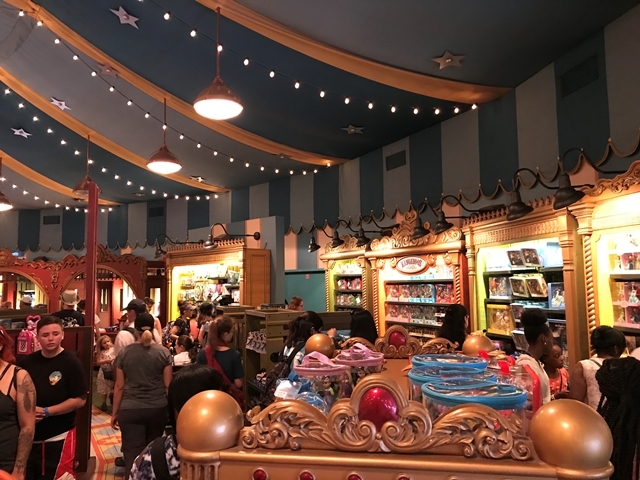 Take the time to look around - even the display units look like circus cars with decorative wheels. 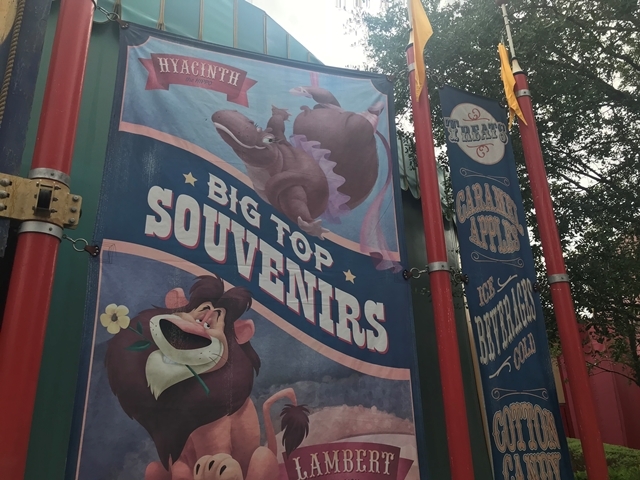 The top of the tent is decorated with circus lights and trapeze poles; on the ground you'll see a circus ring just waiting for its performers to step right in! 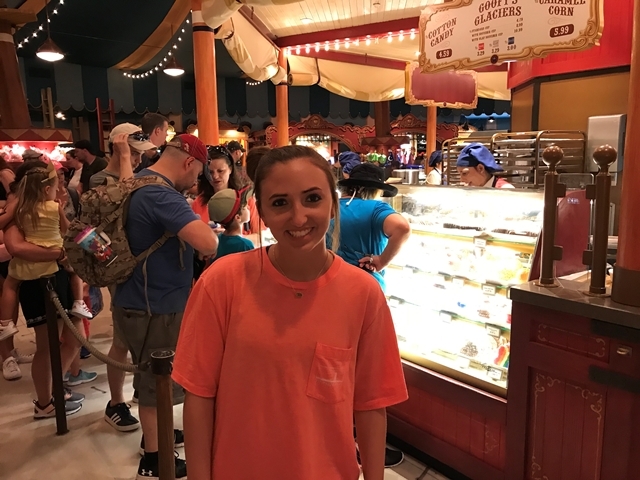 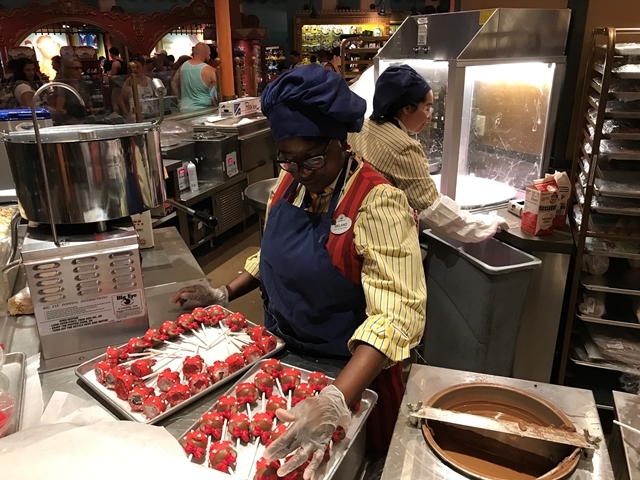 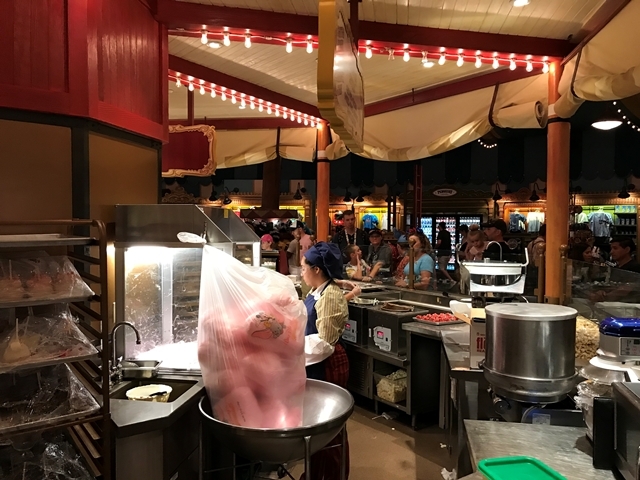 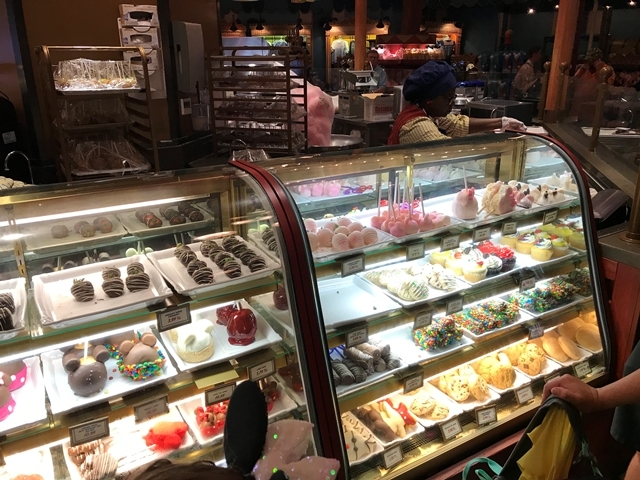 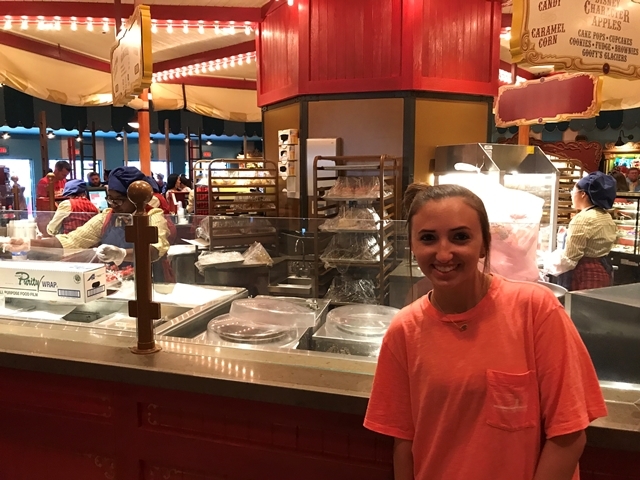 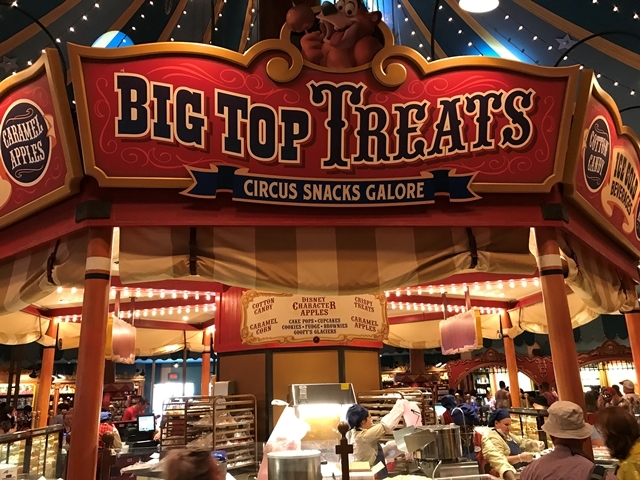 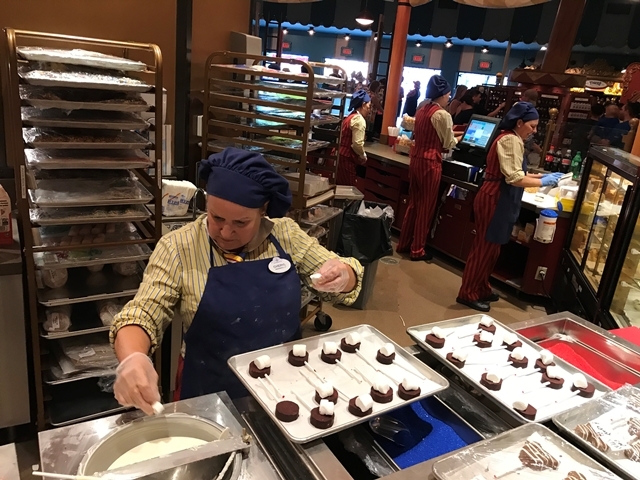 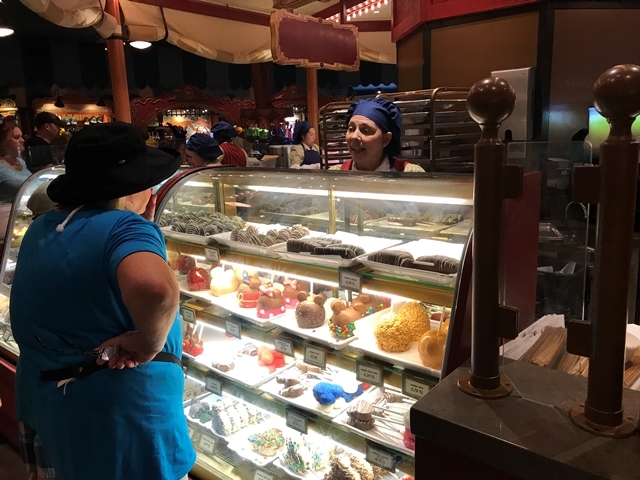 A unique feature of this location is Big Top Treats, a show kitchen making cotton candy, caramel apples, "Goofy's Glaciers" drinks and more!